Brilliant Red Gem Opal and Diamond Pendant in 14k Gold. 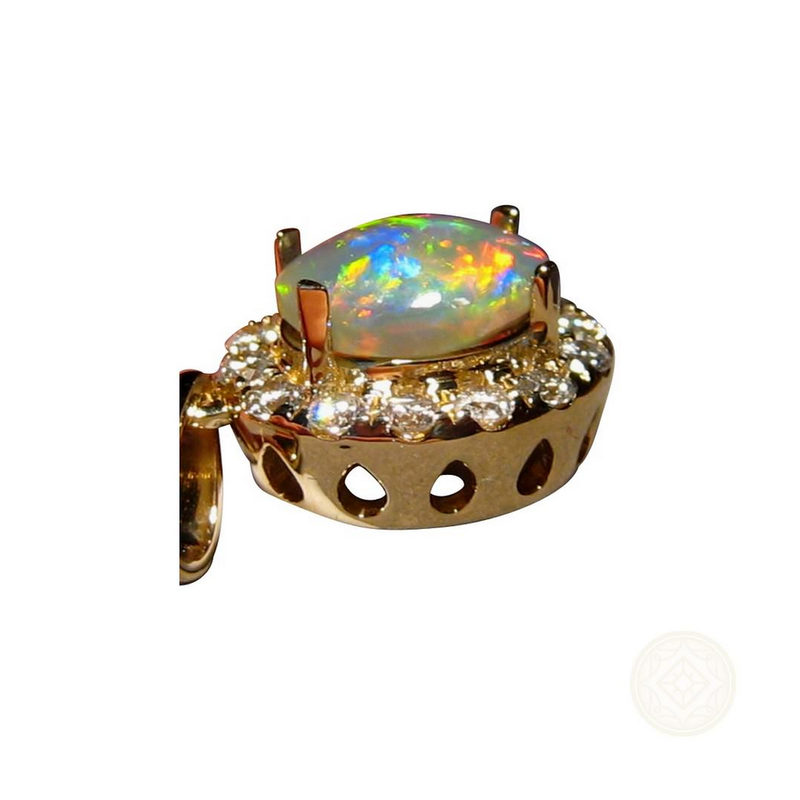 A stunning Opal and Diamond pendant in 14k Yellow for women who appreciate fine jewelry. 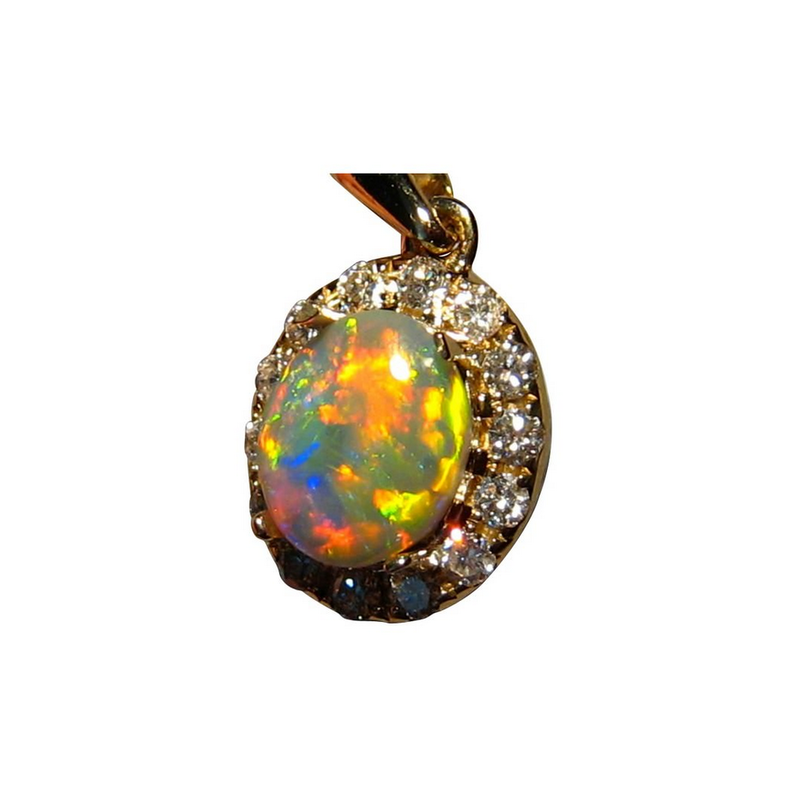 The pendant features a natural Australian Crystal Opal showing extremely bright colors of Red, Blue, Yellow and Green and has a halo of sparkling bright white Diamonds measuring 2 mm each for a combined carat weight of .45 carats. 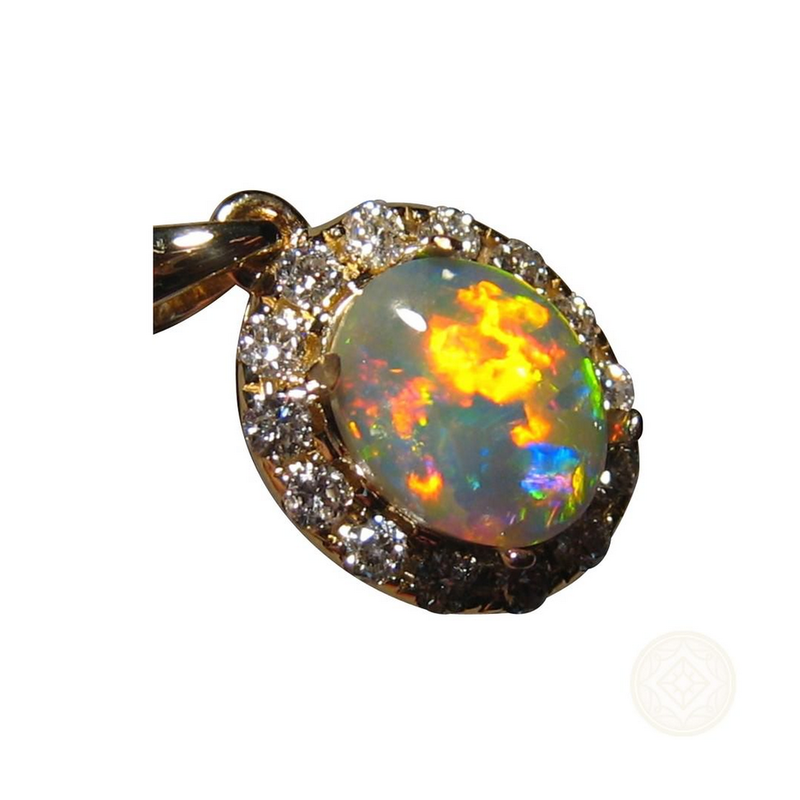 The pendant measures over half an inch long including the bale and although not a very big setting, the gem opal with the sparkling diamonds will be noticed when worn. 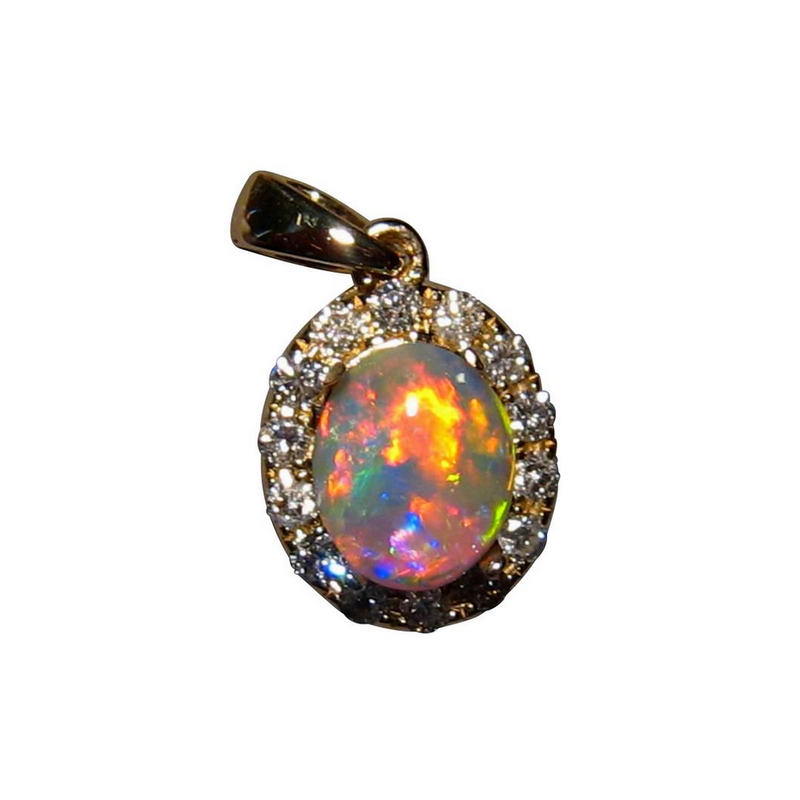 This top quality opal pendant has been sold, however one may be able to be Made to Order with an Opal as close as possible to the photos and with the same quality diamonds. If you would prefer better quality or larger diamonds, or any other aspect of this pendant changed, contact through this product with your requirements for a no obligation quote. To have this pendant made as the photos show, will take a minimum of 21 days before shipping.